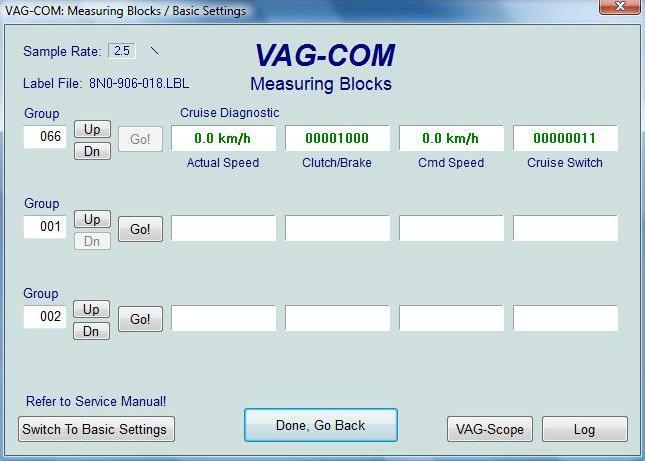 In the post about the installation Tempomat (cruise control), I indicated that the activation of r can be performed using the software VAG-COM, now I will show precisely the process that I followed. First, connect the laptop to the car using VAG-COM cable, as indicated in the post of introduction to VAG-COM . Once connected, from the home screen, access the " Select ". Then in the " Common ", click on" 01 - Engine ". On the next screen click on the " Login - 11 ". On the screen that opens, type the value " 11463 "and click" Do It! ". In the previous screen, click on " Meas. Blocks - 08 ". If all values are correct, we will have successfully installed Tempomat.